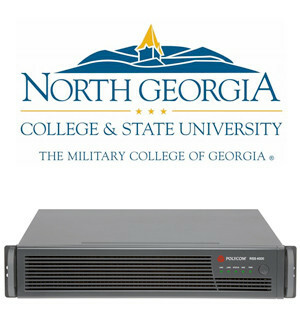 Ensemble Video was recently deployed at North Georgia State College and University for a distance learning application to provide on-demand access to instruction. Polycom videoconferencing end points are being used to share all classroom sessions in real time, and the Polycom RSS 4000 also records all the sessions as MP4/H.264 video files. That video content is automatically imported into Ensemble Video where it is cataloged and published to the North Georgia State for on-demand student access. 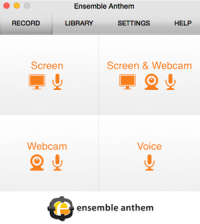 This is the first end-to-end integration of the Ensemble Video and Polycom platforms. Polycom has been known for many years as a leading supplier of videoconference technology, and through its current telepresence, video, voice, and network solutions, Polycom enables the highest quality collaboration among people at a distance. North Georgia State College and University is Georgia’s second oldest university, and the Georgia board of regents has designated North Georgia as a Georgia Leadership Institution. It has over 6,000 students and is surrounded by the Chattahoochee National Forest in Dahlonega, Georgia.